Natural compound medicines are trending in the clinical world with their rediscovered therapeutic potential. The scientific interest in drug discovery from natural sources has been raised due to the major strengths of natural product-based medicines. As a matter of fact, advanced plant-derived natural products are currently in many actively recruiting clinical trials. The most recent technological advances as well as research trends clearly indicate that natural medicines will be among the most important sources of novel drugs in the future. They also indicate a huge potential for development not just of pharmacological preparations but also of nutraceuticals, functional foods and food supplements. Natural products have historically proven their therapeutic potential and in fact many successful medications are plant based. However, the current pharmaceutical industry focuses mostly on synthetic compounds because of some difficulties it faces. Some examples include resupply of natural products, their complex chemical structures and the more economically viable chemical synthesis. What has changed the pharmaceutical industry focus? First, in the recent years, pharmaceutical research has faced certain decline in the number of new drugs for the market research. Secondly, despite that plant derived compounds from medicinal plants and food sources seem to be neglected, these formulas have some significant advantages that have induced the re-emerging scientific interest. 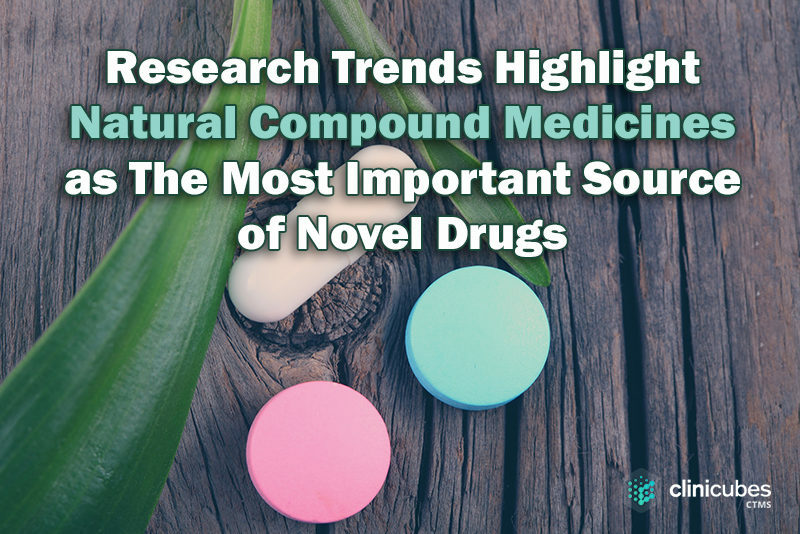 Serving as a pool for drug discovery, the scientific research on natural compounds isolated from herbs and plant based food sources have a direct influence on human health. Recognizing the potential of natural products and rise in scientific interest in medicinal plants-based drug discovery, is the increased number of scientific publications in this research area. In consonance with this, the Austrian “Drugs from Nature Targeting Inflammation (DNTI)” consortium, a multidisciplinary group of scientists with expertise in natural product-based drug research, have recently summarized the current strategies and developments in the discovery and resupply of plant derived compounds from medicinal plants and food sources. The goal of the DNTI scientists is to identify natural products with anti-inflammatory activity within the means of phytochemistry, organic synthesis, computer modeling, in vitro and in vivo pharmacology, biotechnology, and ethnopharmacology. Combining their proficient knowledge, DNTI participants have recently published a comprehensive review, widely covering the natural molecules-based drug discovery. Published in Biotechnology Advances scientific journal, the work under the title “Discovery and resupply of pharmacologically active plant-derived natural products: A review.”, analyses this research field and highlights the recent interest increase in the area of plant derived compounds from medicinal plants and food sources. The article points out that despite the neglect by pharmaceutical industry, it is a likely trend that the natural products will be among the most important sources of new drugs in the future. “Discovery and resupply of pharmacologically active plant-derived natural products: A review. Medicinal plants have historically proven their value as a source of molecules with therapeutic potential, and nowadays still represent an important pool for the identification of novel drug leads. In the past decades, pharmaceutical industry focused mainly on libraries of synthetic compounds as drug discovery source. They are comparably easy to produce and resupply, and demonstrate good compatibility with established high throughput screening (HTS) platforms. However, at the same time there has been a declining trend in the number of new drugs reaching the market, raising renewed scientific interest in drug discovery from natural sources, despite of its known challenges. 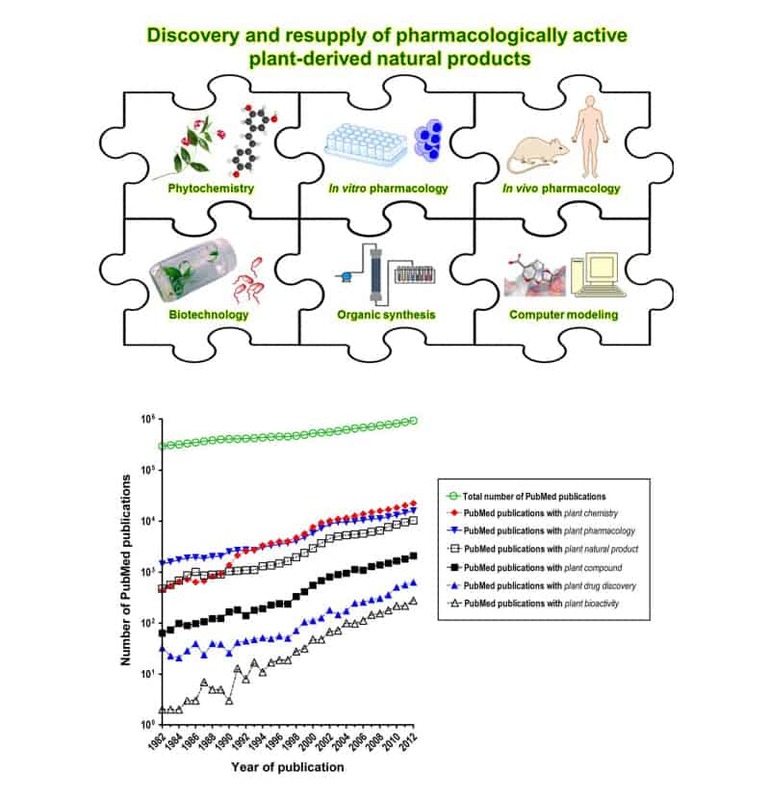 In this survey, a brief outline of historical development is provided together with a comprehensive overview of used approaches and recent developments relevant to plant-derived natural product drug discovery. Associated challenges and major strengths of natural product-based drug discovery are critically discussed. A snapshot of the advanced plant-derived natural products that are currently in actively recruiting clinical trials is also presented. Importantly, the transition of a natural compound from a “screening hit” through a “drug lead” to a “marketed drug” is associated with increasingly challenging demands for compound amount, which often cannot be met by re-isolation from the respective plant sources. In this regard, existing alternatives for resupply are also discussed, including different biotechnology approaches and total organic synthesis. Discovery and resupply of pharmacologically active plant-derived natural products: A review. Dr. Atanas G. Atanasov is a research scientist and principle investigator at Department of Pharmacognosy, Faculty of Life Sciences, University of Vienna, Austria. He has published over 50 peer-reviewed original research articles and reviews in the field of molecular medicine, mechanisms of pharmacological action, cell signaling, and regulatory mechanisms relevant for cardiometabolic disease and inflammation. Exploring innovative approaches for public research dissemination, he is also actively engaged in science communication in the social media. Our clinical trial management system, Clinicubes CTMS, offers integrated solutions for every single aspect and phase of clinical research. In its core, the software is systematized, well-built and easy-to-use. Clinicubes delivers easier way for collecting, retaining and archiving patient and scientific data. Clinical research professionals can take full advantage of the system to increase their team’s productivity and the number of successfully completed clinical tasks and trials.